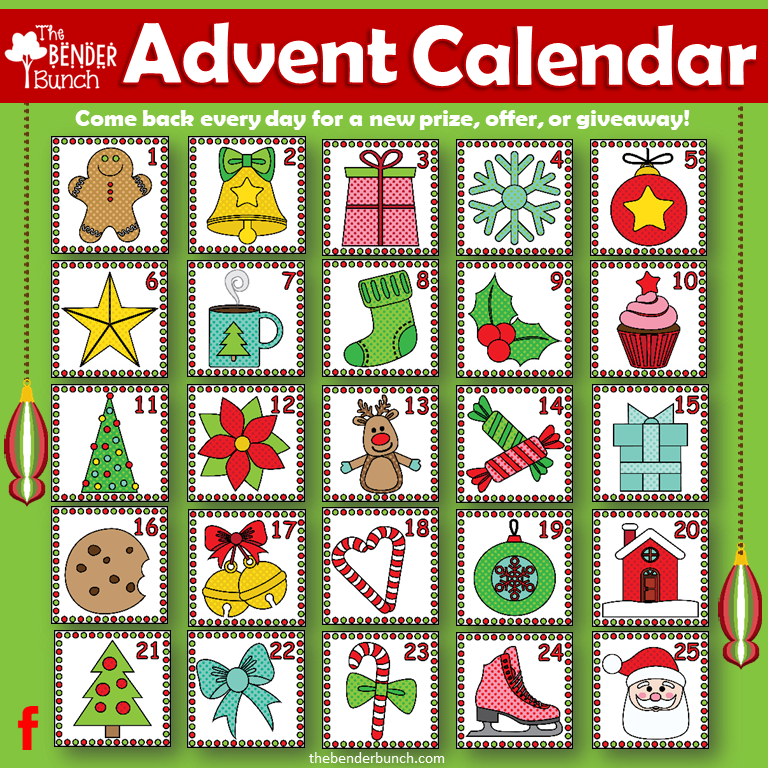 The Bender Bunch: 25 days of Giveaways Advent Calendar! December...ahhh, Christmas...short month...winter break...time with family...Christmas cookies! We all love December! There will be chances to win velcro, t-shirts, classroom tools, classroom resources, gift cards, and much more! So count down the days 'til Christmas with me on my FB page and enter to win a daily prize!